Construction beginning in April 2018. Expected to open in October 2019. Formerly known as the Marcus Bistroplex Brookfield Square. We do not list the showtimes for Movie Tavern by Marcus at Brookfield Square at this time. If you do not find showtimes on our site, try looking on our ticketing partner's site to see if they have them. 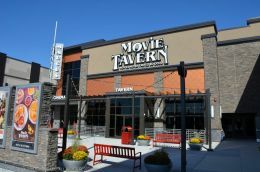 View the showtimes schedule for Movie Tavern by Marcus at Brookfield Square as it appears on movietickets.com. We publish showtimes for nearly every movie theater in the United States. Take a look at our list of theaters near Brookfield, Wisconsin for other options. This movie theater is near Elm Grove, Brookfield, Wauwatosa, Milwaukee, New Berlin, West Allis, West Milwaukee, W Milwaukee, Vernon, Butler, Waukesha.